If you go to reach for your usual Evian bottle and find your picking up a fancy schmancy version this week, don't panic. 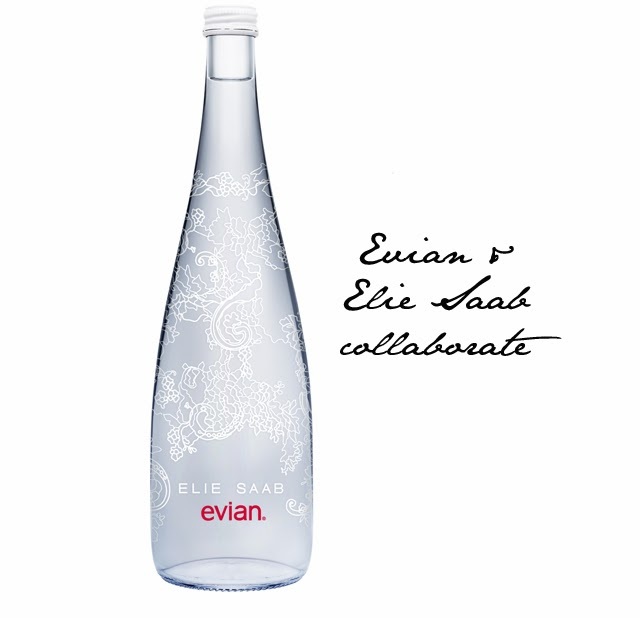 Evian has just released their seventh fashion collaboration and for 2014 it's one of our favourites- Elie Saab. The 75cl bottle is decorated with a signature lace pattern from Elie Saab, a feminine detail that we've come to know and love as a staple of the brand. Look out for the Elie Saab Evian bottle at Harvey Nichols from October 14th and other major retailers from November 4th. Priced at £3.95, it means everyone can now own an Elie Saab design. Sure it isn't an Elie Saab evening gown, but we all have to start somewhere.